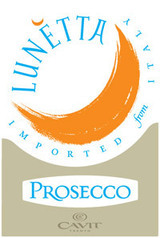 Fresh and uncomplicated, which is the true DNA of basic Prosecco. ItÃ¢â‚¬â„¢s a cocktail-apÃƒÂ©ritif wine par supreme, a bit sweet but not overwhelmingly so. The flavors of apple and pear are pure and likable. And the wine shows a touch of creaminess as it sits on your tongue.